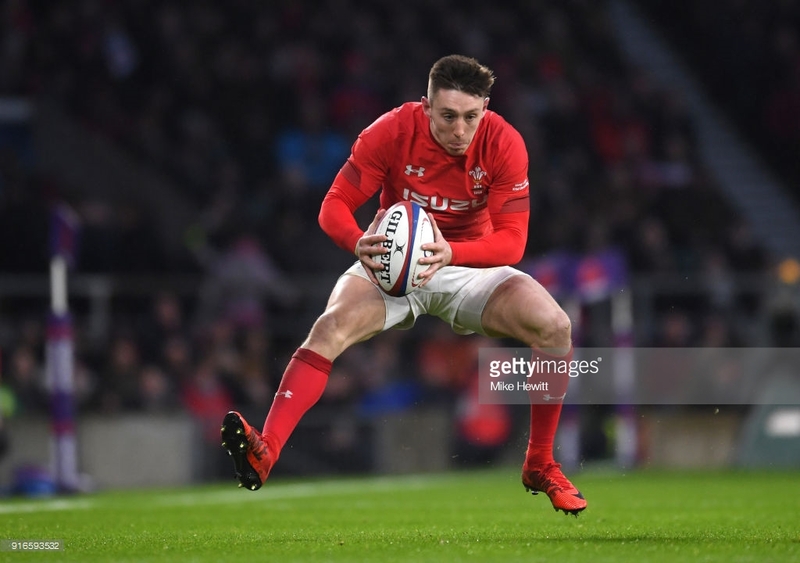 Josh Adams in action for Wales against England last season. Pic: Getty Images. Wales have made three changes to their starting XV to face Australia in Cardiff on Saturday. Tomas Francis, Adam Beard and Josh Adams all come into the starting XV from the side that beat Scotland in Wales’ opening Under Armour Series clash. Worcester flier Adams has got the nod ahead of British and Irish Lions star Liam Williams who starts on the bench. As does Dan Biggar with Cardiff Blues’ Gareth Anscombe keeping the No 10 spot following the victory over Scotland. Tight-head prop Francis is recalled in place of Dillon Lewis while Beard comes in for Cory Hill in the second row. Williams, Adams, Francis and Biggar were all unavailable last weekend because they play for English clubs, and the match fell outside World Rugby’s international window. He features in the back-three alongside Leigh Halfpenny and George North with Scarlets duo Hadleigh Parkes and Jonathan Davies named in midfield. Anscombe and Gareth Davies continue their partnership at half-back. In the pack Francis comes into the front-row alongside Nicky Smith and Elliot Dee. Beard, who started both tests against Argentina in the summer, packs down alongside captain Alun Wyn Jones. The back-row of Dan Lydiate, Justin Tipuric and Ross Moriarty remains unchanged from the opening encounter. “Adam (Beard) impressed in the summer as did Josh (Adams) and they deserve the chance to start. There is a really good balance to the team, a lot of competition which is exactly what we wanted. Wales’ experienced replacements bench features Elliot Dee, Rob Evans and Dillon Lewis as the front-row replacements with summer tour co-captains Cory Hill and Ellis Jenkins completing the forward contingent. Tomos Williams and British & Irish Lions duo Dan Biggar and Liam Williams provide the backline cover. What did I tell you? Biggar must be crocked.